Enable end-to-end automation of any Sales workflow with the Freshsales-Tonkean integration. 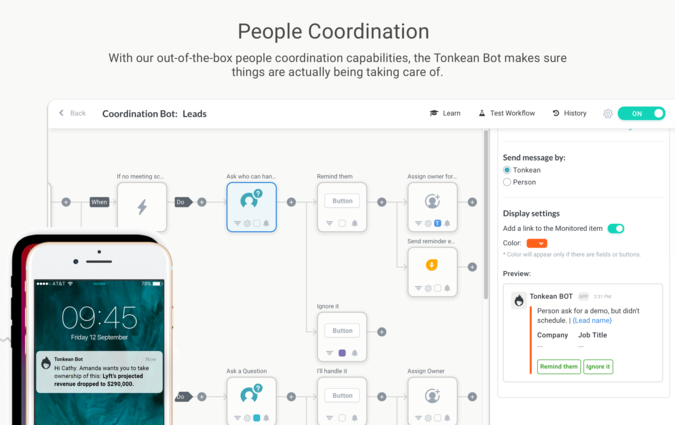 Tonkean uses AI to autonomously coordinate, execute and manage your Support workflows, across data and people, so nothing falls through the cracks. 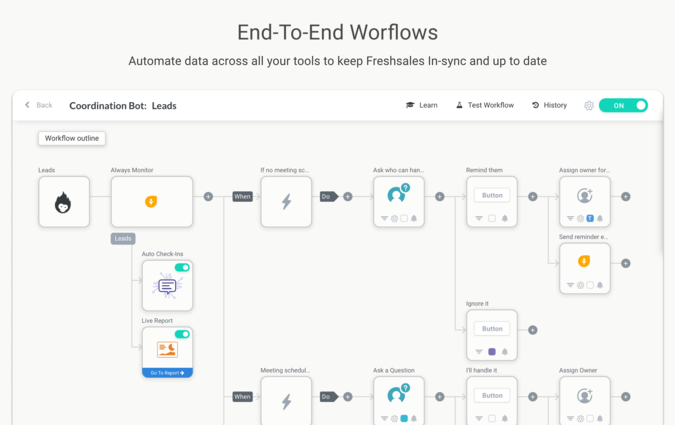 With a powerful Workflow Builder, easily automate your mission-critical workflows: Monitor and Identify churn risk, automatically check-in and followup with Sales reps, and data up-keep by automatically collect relevant information from people and other tools to keep Freshsales up-to-date. With our out-of-the-box people coordination capabilities, the Tonkean Bot makes sure your most important deals are actually being taking care of. Easily automate Approvals, Delegations, Escalations or collecting of information from your team, from Freshsales, and back to Freshsales! Where everything comes together. Visibility is a critical gap in making sure things are running as planned, with Tonkean Live Reports you can monitor and manage your entire mission from one place. Create custom views of your Freshsales data, aggregate information and enrich it with information from other tools. 5. 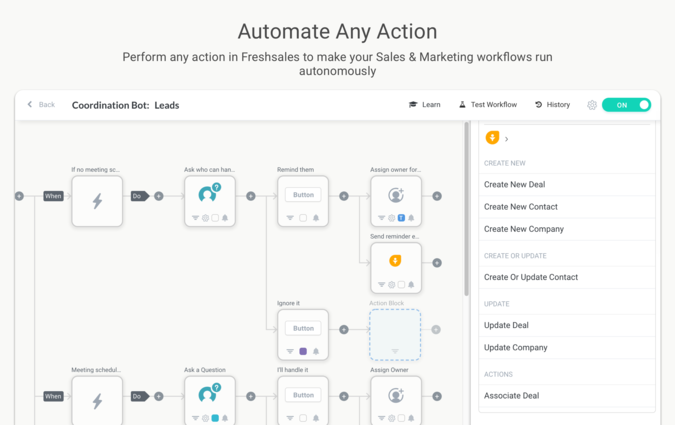 Or use Freshsales actions as part of any other flow!